Add gift wrap to this item for $0.00. 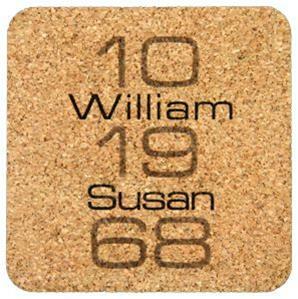 The coasters are great for anniversaries, weddings, birthdays, retirements, graduations. The milestones are endless. Now with FREE Gift Wrap!!!! !